Häagen-Dazs "Maker Street" by Goodby Silverstein & Partners. Häagen-Dazs started small in the Bronx in 1961, then expanded into a ice cream empire. An ad for a new line of flavors by Goodby Silverstein & Partners captures the company's humble roots. The video is for the brand's Artisan line of flavors, which Häagen-Dazs created in collaboration with small, specialized and skilled food masters. 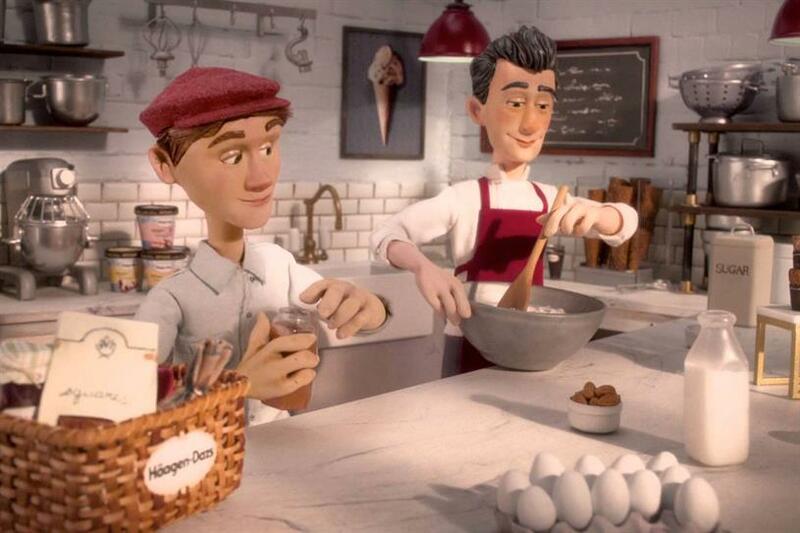 Shot using stop-motion animation reminiscent of filmmaker John Clark Matthews, the style has a nostalgic charm. The story shows various artisans lending their wares for final product.